Ilhan Omar just can’t get out of her own way. She is under attack for anti-Semitic comments that threaten to rip the Democrats apart. Pelosi had to hold a vote to publicly rebuke Omar from the House floor, without naming her, a vote that passed easily. 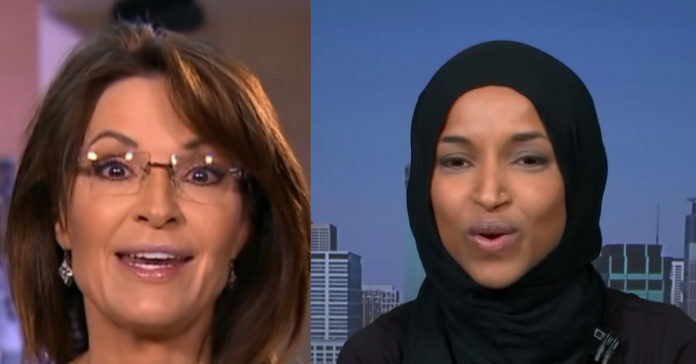 And in an act of political tone-deafness, Omar just trashed Sarah Palin and John McCain. McCain had become emotional during the ABC talk show, discussing Omar’s recent criticisms of Israel and its supporters. She said Omar’s remarks were hurtful to many of her Jewish friends. But instead of responding directly to McCain, Omar retweeted a post that criticized McCain for “faux outrage” and referred to past statements attributed to McCain’s late father, U.S. Sen. John McCain, R-Ariz., who died last August at age 81. “On both sides it should be called out,” she said about hate crimes in the US. “And just because I don’t technically have Jewish family that are blood-related to me doesn’t mean that I don’t take this as seriously, and it is very dangerous, very dangerous. … What Ilhan Omar is saying is very scary to me,” she said.